Tigger Attends Yoga Class at The Balinese Wellness Spa and Yoga Retreat : Port Aransas, Texas Tigger Travels - Family Adventure Journal Photos From Tigger`s Travels and MORE! 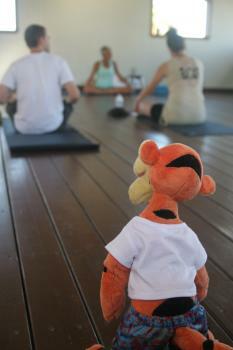 Tigger walks in at the beginning of the class. 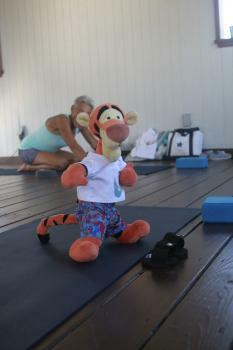 This is Yoga, not Karate, Tigger!! 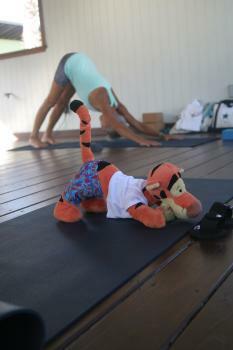 Tigger looked around during Down Dog to make sure he was not going to get BARKED at! Building his collection of poses... the PLANK! 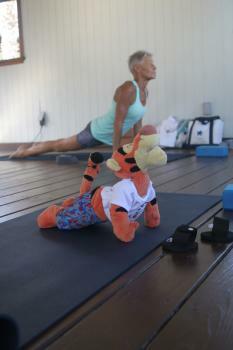 Tigger can look out for Heffalumps and dogs better in the UP DOG position!! 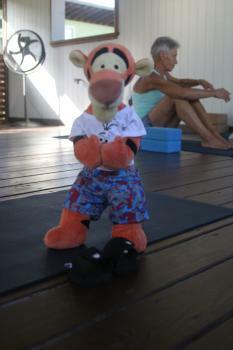 Today, Tigger bounced out of bed early all excited to attend his first Yoga Class. 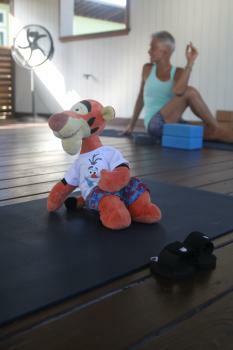 His instructor was careful to explain the importance of the various poses and corrected his holds when Tigger was unsure... There were students at multiple levels of experience in the class and before the class started the instructor asked about any injuries she should know about. All students were properly kitted out with the necessary equipment and additional items were distributed to anyone that needed them. 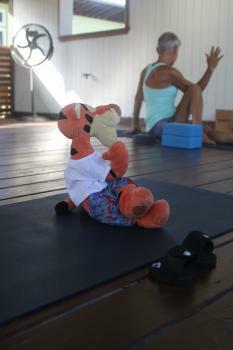 Here, we can see Tigger as he went through several of the poses. When the class was over Tigger did not bounce much as he FLOATED with total focus and concentration down the steps and even turned a corner without touching tail to ground! "It was just Spectacular!! 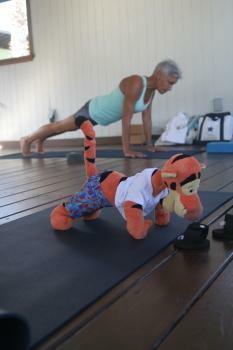 Even Tiggeriffic!!" 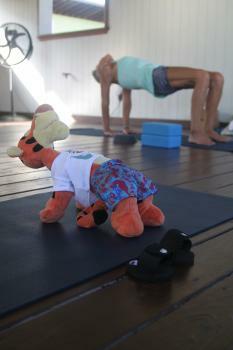 Donna Barrett is a 200 hour Certified Yoga Instructor specializing in Restorative Hatha and Anahata Yoga. Anahata, or "heart chakra", is the fourth primary chakra, according to Hindu Yogic, Shakta and Buddhist Tantric traditions. In Sanskrit, anahata means "unhurt, unstruck, and unbeaten", which perfectly describes both Donna, and her practice.